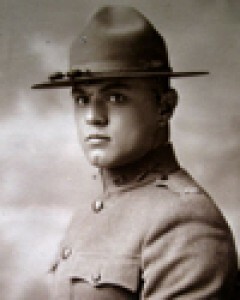 Deputy Rudolph Vejar was shot and killed while working undercover at a speakeasy. Two men entered the establishment at dawn and attempted to rob it. During the robbery Deputy Vejar drew his revolver and shot and killed one of the suspects. He then exchanged shots with the second suspect and both men were struck. Deputy Vejar was struck in the mouth and died a short time later. The second suspect was convicted of Deputy Vejar’s murder and hanged Febuary 8, 1935. Deputy Vejar was assigned to the Sheriff’s Headquarters at the time.